Let this be a lesson in taming bed bugs — do not try to set them on fire. A 13-year-old boy in Cincinnati, Ohio tried to kill a bed bug in his home by setting it on fire. He used alcohol and a match which ignited a blaze that spread through six units in his apartment complex. The fire caused $300,000 dollars in damage and eight people, including five children, have been displaced. “This was accidental. He wasn’t in there just playing with matches. It wasn’t the smartest thing, obviously, but he was trying to get rid of a bed bug,” Cincinnati firefighter Marc Monahan revealed to the press. Luckily the Red Cross has stepped up to help the displaced families, and thankfully no injuries were reported, but this is no joke. 1. Wash all linens including clothes, bed sheets, and drapes in hot water and dry them on the hottest setting. 2. Shoes, stuffed animals, and others cloth-based items that can’t be washed should be run through the dryer for 30 minutes. 3. Vacuum your entire home and empty the vacuum bag directly into an outside garbage bin. 4. Cover all mattresses, including box springs, in zippered covers and leave them on for at least a year. 5. While you can purchase chemical bed bug spray on your own, it’s more effective to hire professional exterminators. If you go the extermination route, it’s important to wrap all newly cleaned linens in trash bags until the extermination is complete. 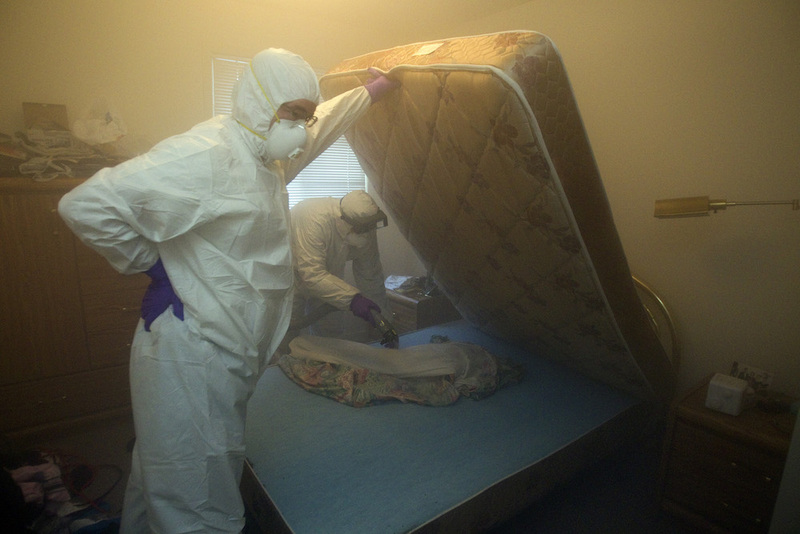 Don’t be like the teenager in Cincinnati who tried to solve his bed bug problem with fire. If you see a bed bug, squash it, and then get to cleaning.